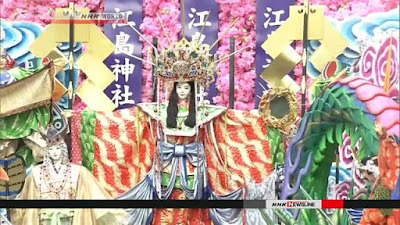 UNESCO has decided to add 33 Japanese traditional festivals featuring parades and floats to its list of intangible cultural heritages. The decision was made at a meeting in Ethiopia on Wednesday. Yatsushiro Myokensai no Shinko Gyoji of Kumamoto Prefecture are among the 33 events. But the Japanese government decided to combine those 2 with other similar festivals in listing them as a group. UNESCO says the festivals have brought artistic creativeness to residents and that they have been handed down for generations. It notes that some of the festivals contributed to the restoration of human bonds in communities after the earthquake and tsunami hit northeastern Japan in 2011. UNESCO praises people involved in procuring festival items in environmentally friendly manners. 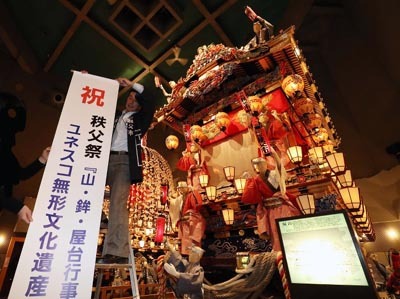 The registration of the festivals will bring to 21 the total number of Japanese items on the intangible cultural heritage list. Kabuki and traditional Japanese cuisine, or "washoku," are among them. 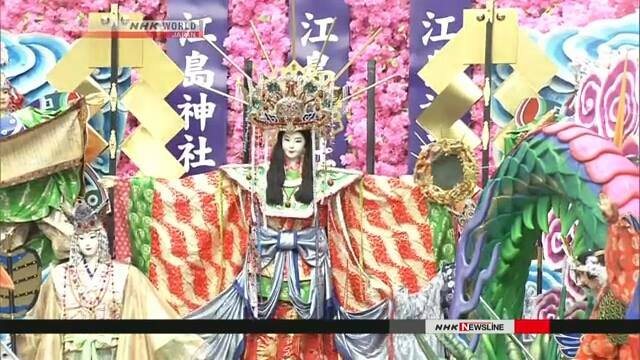 The Hakata Gion Yamakasa Festival in Fukuoka City, western Japan, is among the festivals that gained registration. Mayor Soichiro Takashima said he hopes the listing will help increase the appeal of Fukuoka.